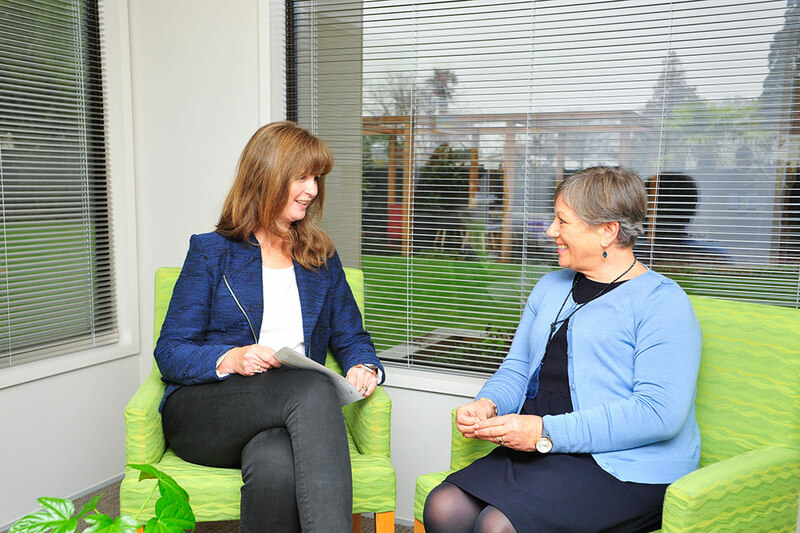 Our psychologists are here to help you manage the emotional challenges of your cancer journey, as well as other areas of life such as family and work. Clinical psychologists have trained for at least 7 years and are registered health professionals. They use their knowledge of psychological theories to help patients and their families develop strategies to reduce distress and increase helpful thoughts and behaviours. When you first come to see a clinical psychologist they will ask you about your concerns and what you would like help with. This assessment usually takes about an hour. After the assessment they will discuss the options for treatment with you. This may be as little as a one off session, giving you some resources to use at home, or may involve regular sessions to provide support in more depth. What do we do at the Cancer Care Centre? Ask at reception (03 375 6100) to make an appointment to see Kathryn or Ginny. The receptionist will take your details and one of the psychology team will contact you to make an appointment. Alternatively you can discuss it with your oncologist, chemotherapy nurse or radiation therapist and ask them to put a referral through to the psychology team for you.